S'Mores is a camping treat you hear a lot about when reading stories from the USA. It's a big thing over there. No American camping trip is complete without partaking in the ritual of having a S'More. But in Australia, it's doesn't register as a camping experience we must have. 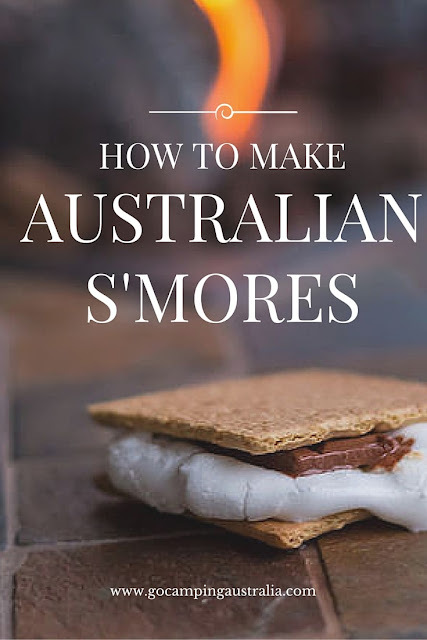 In the interest of all things camping and because chocolate was involved, I bravely decided to venture into an unknown cooking territory and try to replicate this traditional dessert here in Australia. 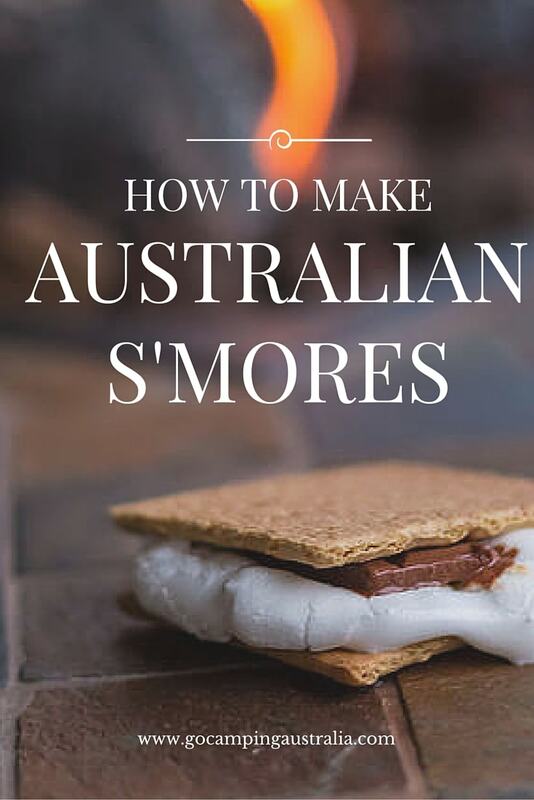 “traditional night-time campfire treat” and made up of “roasted marshmallow and a layer of chocolate sandwiched between two pieces of graham cracker”. The marshmallow and chocolate – no problems – a trip to my cupboard and we have them. The graham cracker – what is that? The graham cracker is elusive here in Australia, though some stores that stock American food products, will also stock these. But it's not something you can grab from any supermarket here in Australia readily. McVitie Digestives seem to be the closest. I have also heard that Arnotts “Marie” biscuits are worth a go. Get a Marie or McVities biscuit and put a piece of chocolate on it. Cook a marshmallow over the campfire using a stick or whatever preferred method is. Chocolate that goes on the biscuit – we used a Cadburys Twirl broken in half. When the marshmallow went onto this chocolate, it just did not melt. I waited 30 seconds but that chocolate stood firm long after 30 seconds. Marshmallow – to get it really gooey, I sort of set it on fire, so it was all blackened (not sure if I am meant to do that), but it didn’t seem to retain heat to melt chocolate. My kids enjoyed this new camping treat, but I was a bit disappointed. I think it comes down to my biscuit choice. Or maybe my chocolate choice. Or then again, maybe my marshmallow cooking!!! 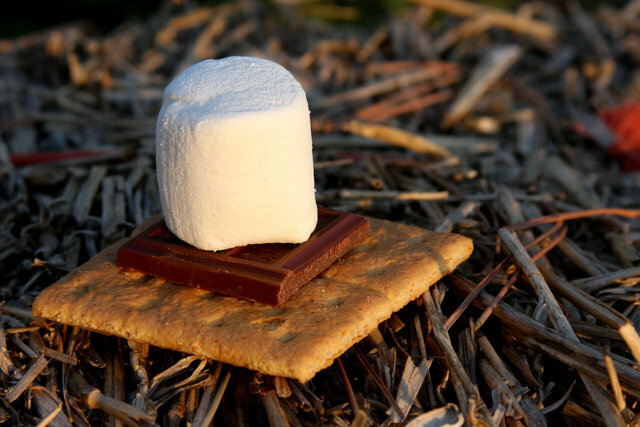 Searching for S'Mores information is impressive for a newbie to the world of S'Mores - there are sites dedicated to recipes; how to cook them; bizarre S'More alternatives; and even a Facebook page dedicated to S'Mores. This site had a delicious sounding recipe for Peanut Butter S'Mores. Makes my mouth just water thinking about that combination. 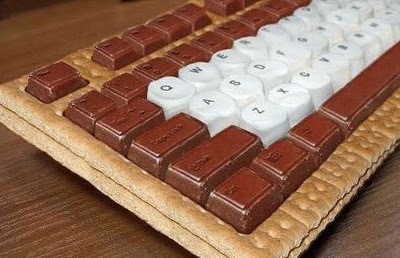 Or maybe you want to make your own S'More in a virtual experience? So, despite there being a lot of info out there for beginners, my S'More experience was not a huge hit. 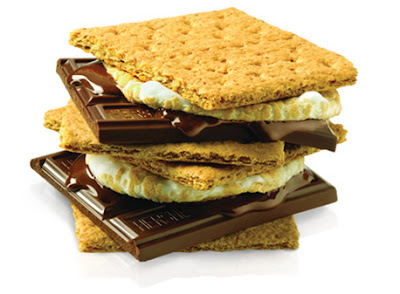 I am not planning on giving up anytime soon - all those Americans can't be wrong - but I think the key elements to make a good S'More needs a small re-think on my part. 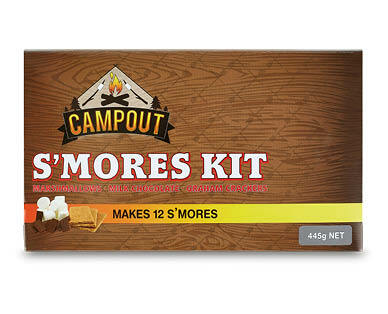 Update: Aldi has been selling the S'Mores Kit in June 2017, for the bargain price of $6 and you get 12 S'Mores out of it, and using all the American products to recreate this S'More delight. I can't guarantee how long this supermarket will have them, but worth having a look! Please include attribution to www.berries.com with this graphic. So you don't have the crackers, but you have Oreos? Then you are ready for a new taste sensation. The S'Moreo. (FYI: This post was originally published in 2012, and has been updated to maintain accuracy and be informative as possible).